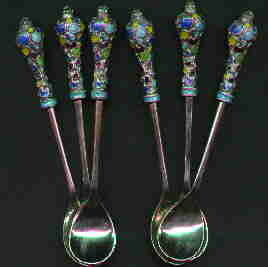 This very pretty and unusual set of 6 spoons and 6 forks are enameled in the modern Korean style (probably about the time of the Korean war) with bright vivid colors. The pieces are marked silver and were made by the "Joy & Company". 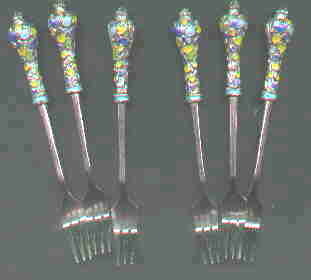 At one time, this was an expensive set of silver flatware.